Construction is progressing quickly. 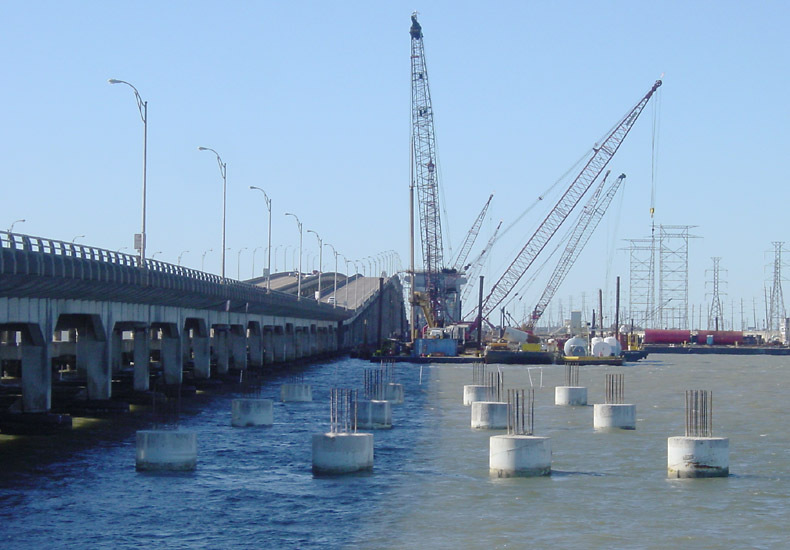 The new bridge will feature 8 traffic lanes on a 148-foot-wide deck. The main span over the intracoastal waterway will be a cast-in-place concrete box girder with a span of 300 feet. 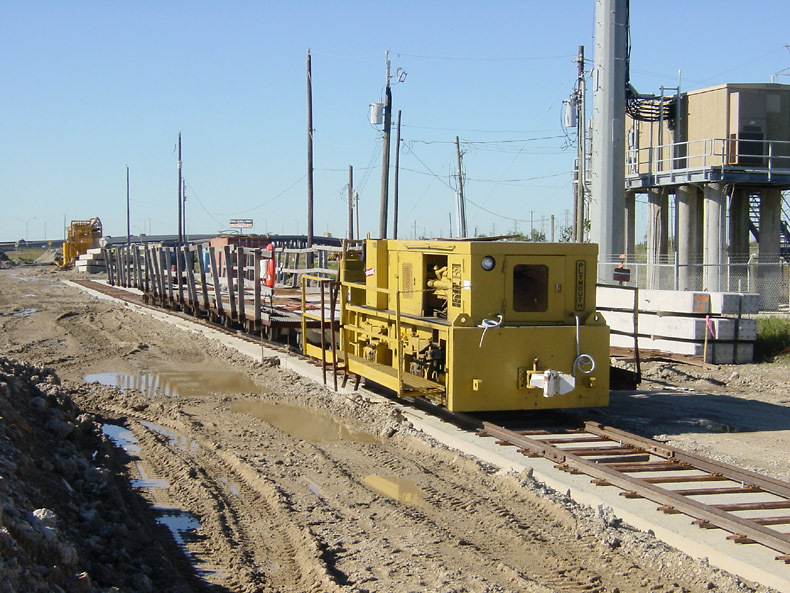 Both existing structures (northbound and southbound) will be demolished and entirely removed to 3 feet below the mud line. The northbound lanes were originally opened in 1938 with a drawbridge. 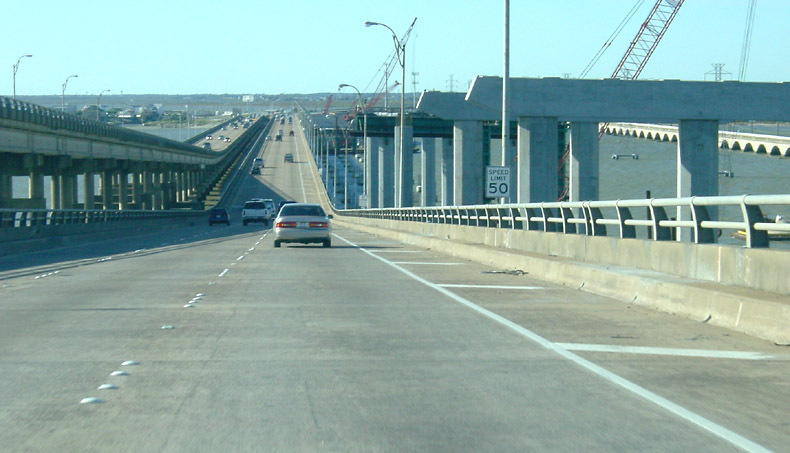 In 1961 the southbound lanes were opened with a high clearance bridge over the intracoastal waterway. 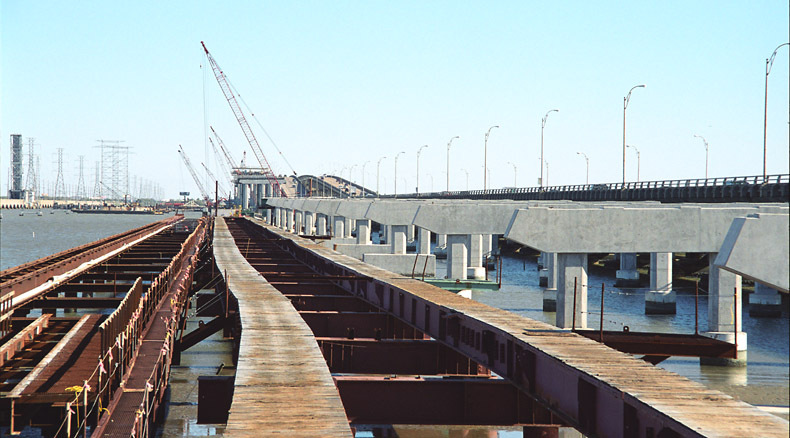 Then the drawbridge section of the 1938 bridge was removed and replaced with a high-level span. Both structures are showing their age, especially the 1961 structure which was built with lightweight (and deteriorating) precast components. Looking from the mainland towards Galveston Island. 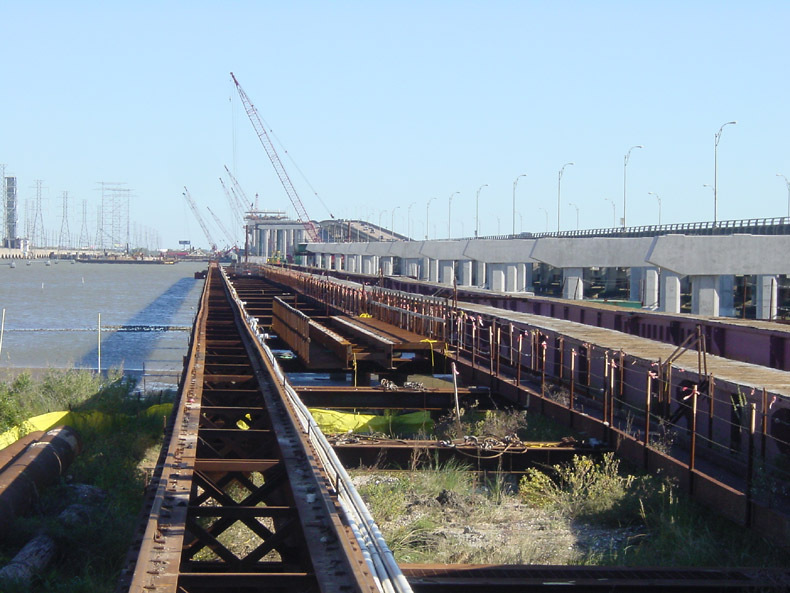 Notice that a special railroad bridge and crane bridge have been constructed alongside the actual bridge piers. It looks like the bridge beam sections will be conveyed via locomotive on the railroad bridge, and the crane will grab the beam and place it. (Click for high resolution) This view looks along the two bridges that the crane tracks will ride on. 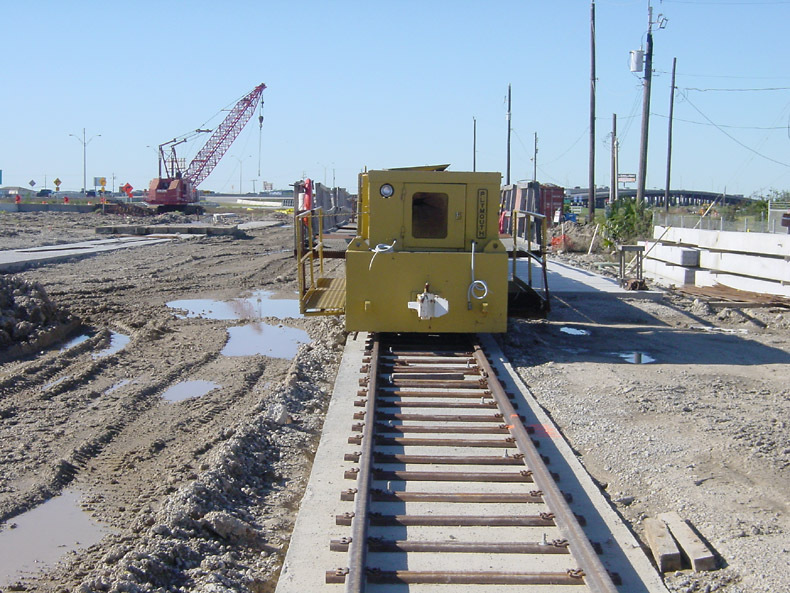 Here's the little locomotive that conveys materials to the construction zone. Another view of the locomotive. 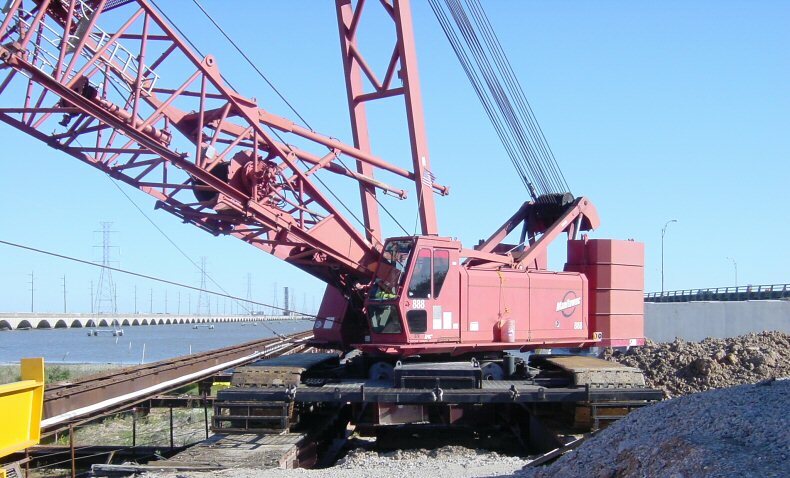 This is the crane that travels along the parallel track bridges. 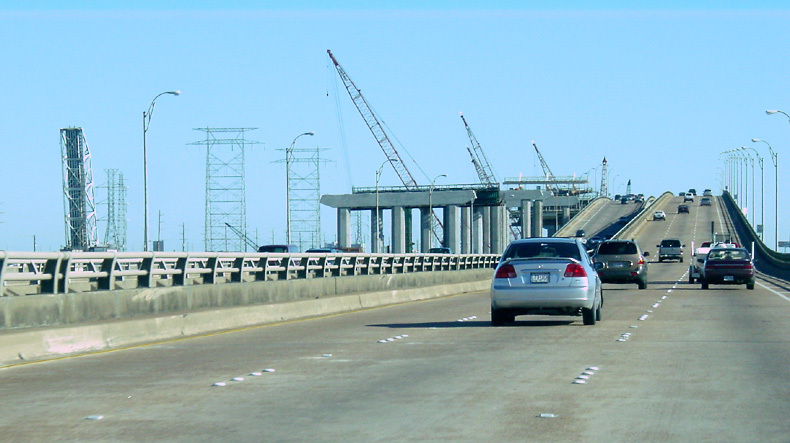 Driving southbound, with the new piers visible on the left. (Click for high resolution) This view is from Galveston Island looking northbound. Driving northbound on the upgrade. 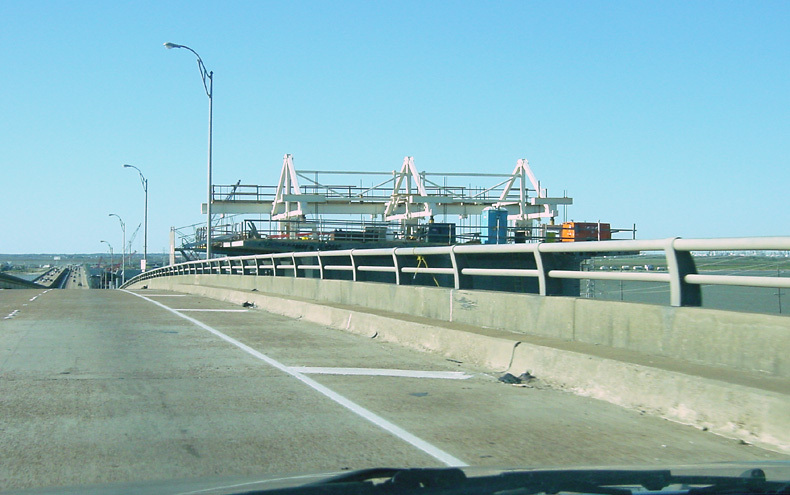 Driving northbound at the top of the bridge, with a view of the equipment used for the cast-in-place concrete box girder. Driving northbound on the downgrade. 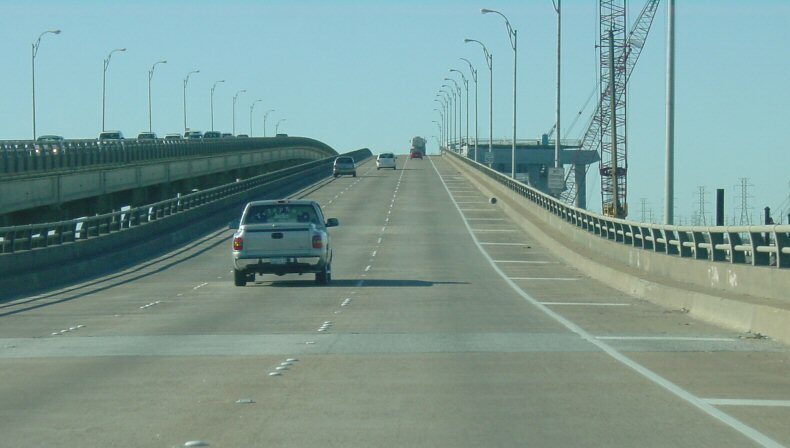 Driving northbound on the Gulf Freeway north of the causeway. 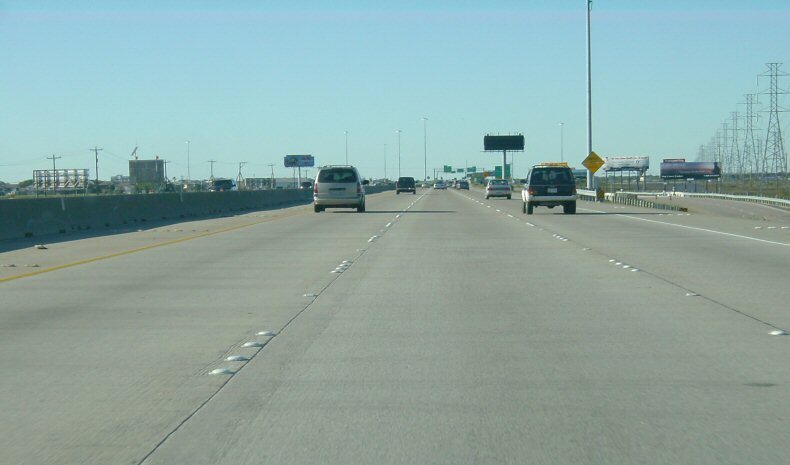 Long-term plans include the addition of a fourth lane in each direction.